2 sheets. 44 glow-in-the-dark permanent acid-free stickers. 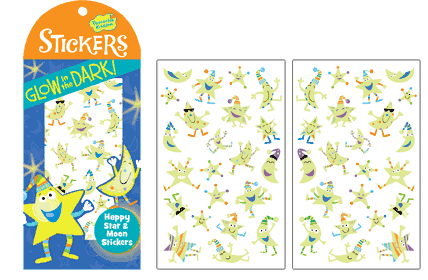 Smiley moons and stars are very happy to see you!